Katie has guided homeowners, home-buyers, and investors for 17 years. Clients looking for a knowledgeable and experienced mortgage consultant and a company that really cares go to Katie and American Pacific Mortgage for all their home financing needs. They can count on her to listen and understand their vision, and stay committed to keeping their interests in mind. Katie knows that every client has different financial goals, so she takes the time to understand their vision in order to recommend smart mortgage solutions. As a consultant, she is backed by a dedicated team of loan assistants, processors, underwriters and closing specialists. She and her team consistently deliver smart choices because they’re highly trained and well versed in all aspects of the industry. To find a smart home-financing solution, give Katie a call today! 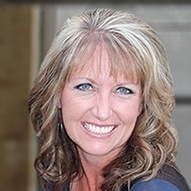 Katie has guided homeowners, home-buyers, and investors for 17 years. Clients looking for a knowledgeable and experienced mortgage consultant and a company that really cares go to Katie and American Pacific Mortgage for all their home financing needs. They can count on her to listen and understand their vision, and stay committed to keeping their interests in mind. Katie knows that every client has different financial goals, so she takes the time to understand their vision in order to recommend smart mortgage solutions. As a consultant, she is backed by a dedicated team of loan assistants, processors, underwriters and closing specialists. She and her team consistently deliver smart choices because they’re highly trained and well versed in all aspects of the industry. To find a smart home-financing solution, give Katie a call today!